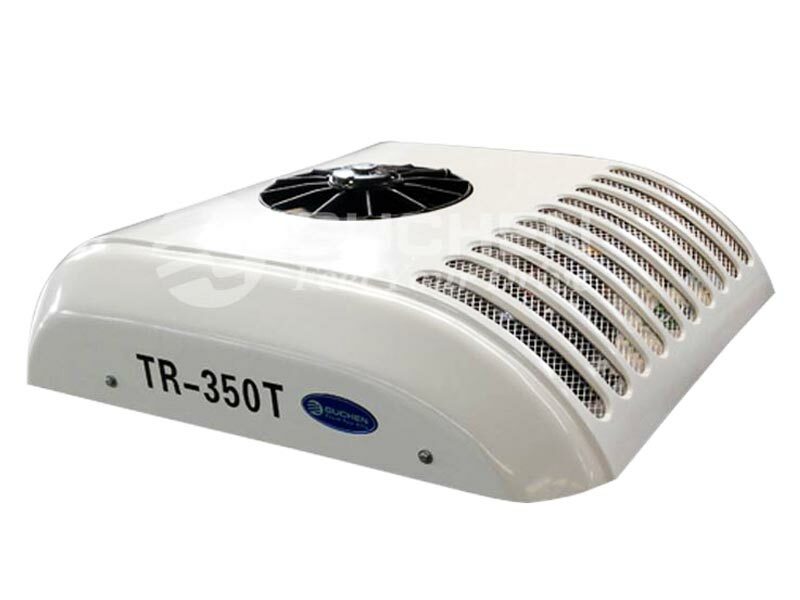 TR-350T refrigeration units for vans mainly installed on the rooftop of the commercial refrigerated vans. 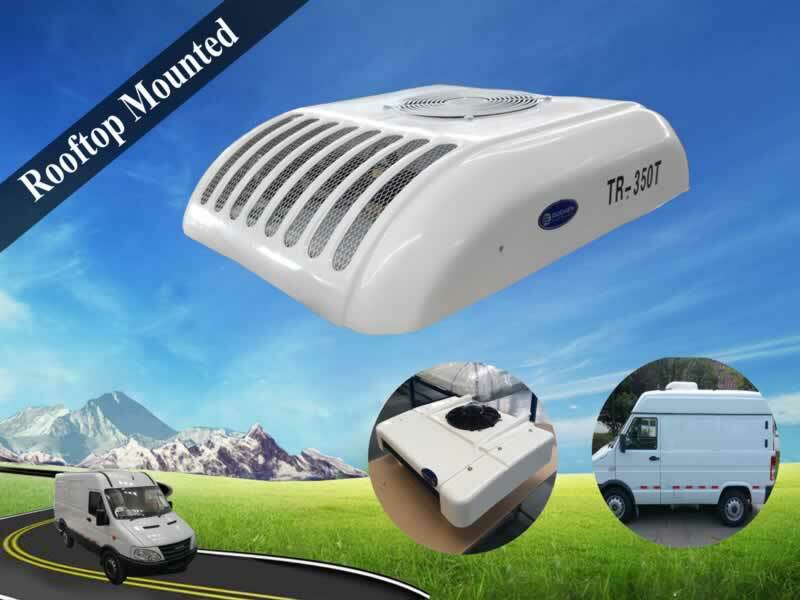 If the volume of your refrigerated vans boy up to 10-15m³, advised that choosing the TR-200T van refrigeration units, if it is 6~12m³, choosing TR-180T units. 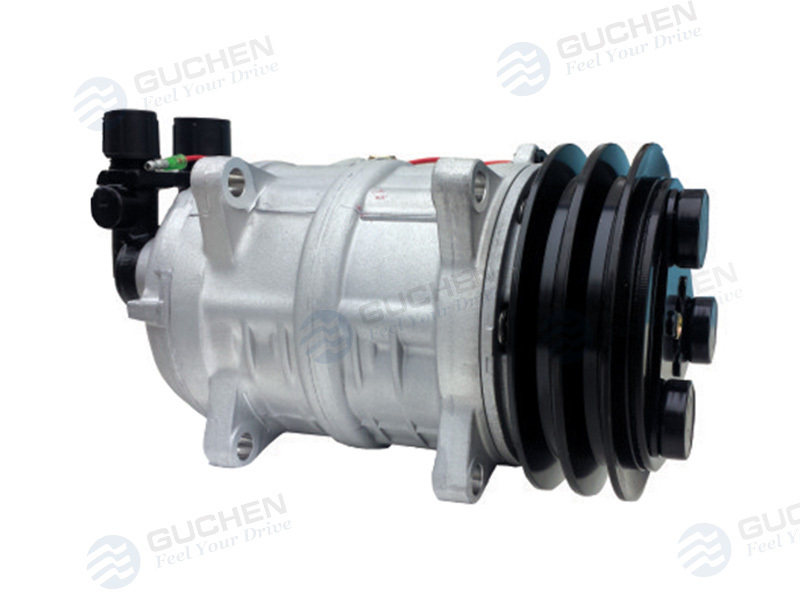 As the leading refrigeration units for vans supplier in China, Guchen Industry also supplying the frond-mounted TR 350 truck refrigeration units with the same cooling capacity 3815W, 4437Kal/h, 13020BTU (0℃/+32℉); 2260W, 2628 Kal/h, 7710BTU (-18℃/ 0℉). 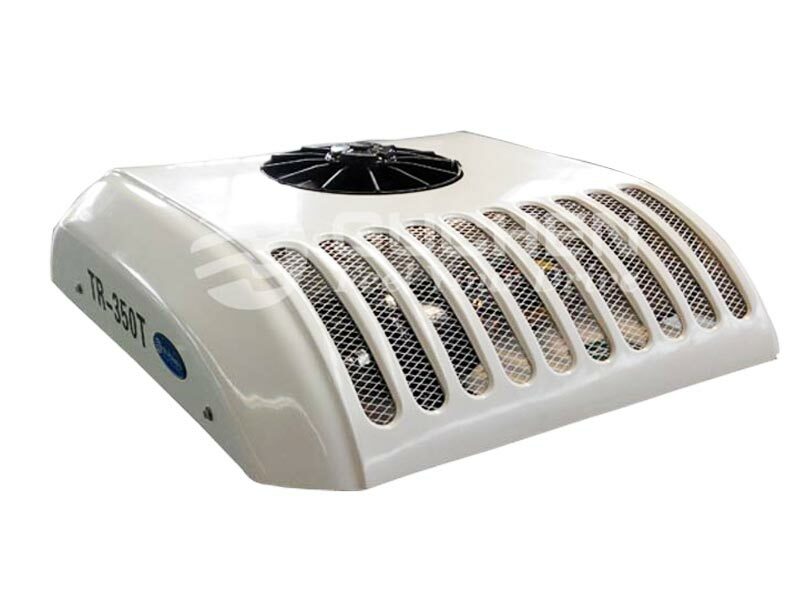 ● The condenser uses streamlines design and fashionable appearance. 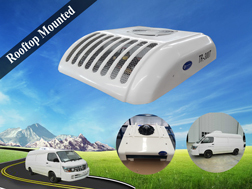 ● High air volume, good efficiency, keep the quality of the goods in the box. ● Easy to install, more convenient maintenance, and saving a lot of operating costs. ● Robust construction and shock proof protection allow for extended the refrigeration units for vans service life. 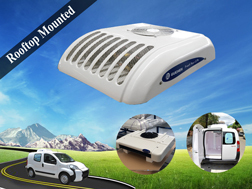 ● The housing adopts corrosion resistant fiberglass, easy clean. ● International certifications CE/ISO9001/TS16949CE/ATP, etc. 1. GUCHEN Providing the complete solution for your commercial refrigerated vans, has an in-house design team & state-of-the-art manufacturing facilities. 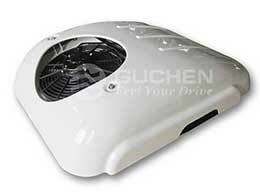 How to select a right refrigeration units for vans/trucks from GUCHEN Industry models? 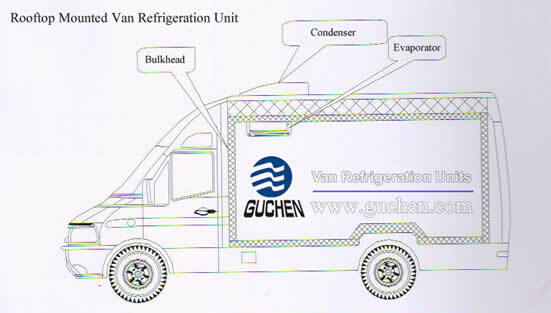 When you are considering purchase the refrigeration units for vans, also called van refrigeration units, here are questions that the company will need to know when you prepare to order from Guchen Industry. Q: What is Your Vehicle, Cargo Van or Truck? A: If your vehicles are van, we will help you recommend suitable van refrigeration unit, if your vehicle is truck,we will help you recommend the suitable truck refrigeration units, choosing suitable rooftop mounted units or front mounted units according to your vehicle’s appearance. Q: What dimension of your vehicle is? A: Your vehicle container volume, such as the refrigerated body’s length, width, high. Q: What is the primary product I will be transporting in my refrigerated van? A: Transport the cargo's temperature is the key factor to select a suitable refrigeration units for vans & trucks, which need different requirements. Such as, transporting dairy products in your refrigerated van requires different cooling capacity compare with transporting fresh seafood, also need select the different refrigeration units for vans. Q: Will i need electric standby to keep my product's temperature consistent overnight inside the refrigerated truck? A:Do you remove your product from your refrigerated van every night or do you need to keep the product inside the van? Electric standby lets you connect the refrigeration unit to an outlet for power during stopovers and overnight. 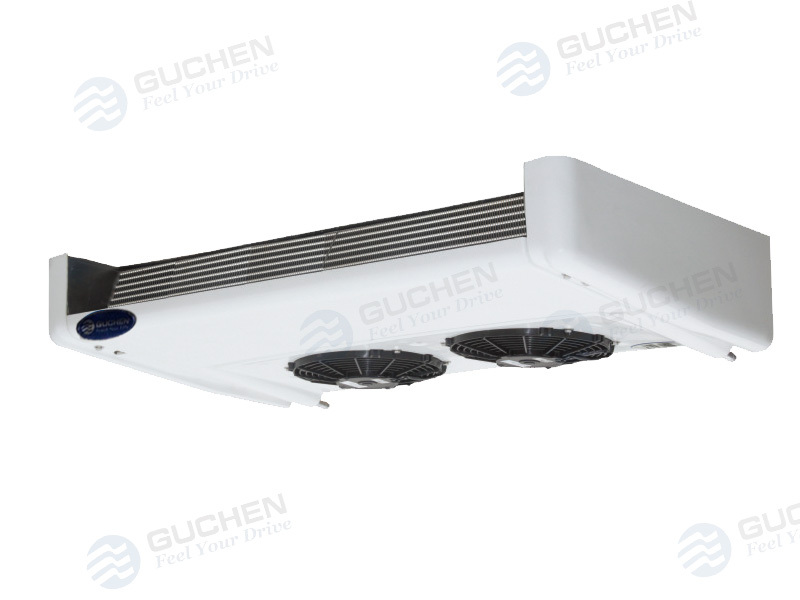 A:Guchen Industry is a specialized refrigeration units for vans manufacturer in China, the product with high quality, high-performance, 12 mounts warranty in the global market, Extended warranty for all transport refrigeration units, parts is optional.